PHUKET: The installation of an additional 499 CCTV cameras across the island and tourists’ safety at Koh Racha were high on the agenda of a meeting held by the Governor of Phuket today. Other issues discussed at the meeting included action that had been taken to prevent further flooding at high-risk areas on the island and the establishment of a “Sport City” in Mai Khao. Phuket Governor Norraphat Plodthong presided over today’s (June 26) meeting, which was attended by vice governors Snith Sriwihok and Prakorb Wongmaneerung, heads of local government agencies, military officials and police. As of now Phuket has 1,239 CCTV cameras installed, however, Gov Norraphat said that a further 499 cameras are required bringing the total number to 1,738. Governor Norraphat assigned the Phuket Provincial Administration Office (PPAO or OrBorJor) to conduct a survey to find the budget requirement for the purchase and installation of the addition cameras. The Digital Economy Promotion Agency (Depa) Phuket branch were assigned to oversee the connection of the cameras once the budget has been approved. Following the drowning of Chinese tourist Su Wang, 30, at Patok Bay, Koh Racha on June 21, an incident which also saw another two Chinese tourists pulled safely from the water (see story here), Governor Norraphat stated that the Phuket Provincial Office of Tourism and Sports had reported that they had already agreed to compensate Mr Su’s family for the loss of life. However, Governor Norraphat ordered the Phuket Provincial Office of Tourism and Sports be strict on tour companies when it comes the safety of tourists. “The number of guides and staff must be sufficient for the number of tourists. 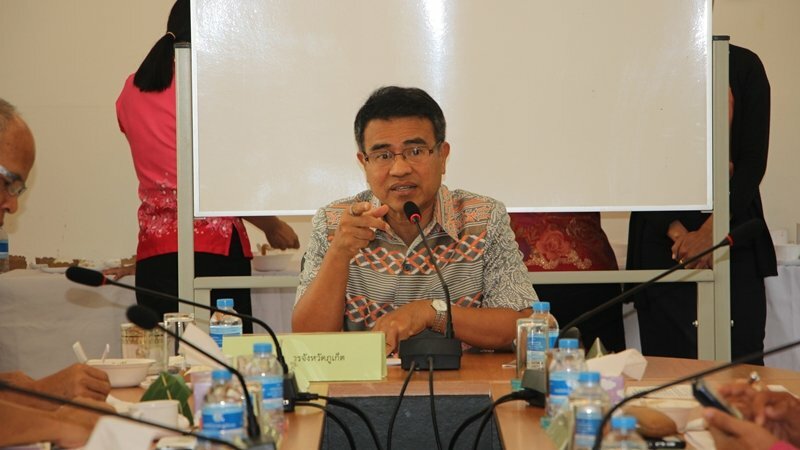 Rawai Municipality must coordinate with relevant agencies to support lifeguards to ensure the safety of tourists on Koh Racha,” Gov Norraphat said. Turning to flood prevention, it was confirmed to Gov Norraphat that necessary works had been carried out on in front of Thaiwatsadu on Thepkasattri Rd to prevent further flooding and that the works were complete on June 18. Necessary works had also been completed to prevent flooding at the Bang Jo intersection and the Cherng Talay Municipality Office, the Susco petrol station in Muang Mai, and in front of SuperCheap on Thepkasattri Rd in Rassada. However, Gov Norraphat assigned local government agencies to monitor rainfall levels so that residents can be advised immediately of any possible flood risks. Finally, Governor Norraphat assigned the Phuket Provincial Office of Tourism and Sports to set up a working group to propel the establishment of a “Sport City” which has been planned for Mai Khao using a budget of B900 million. "More CCTV's to notice crimes,Not to prevent them"Don't know why someone is complaining again.How many times did we read  on here that culprits got caught after checking those cameras. More CCTV's. to notice crimes, NOT to prevent them. ORDERED officials to monitor rainfall. Citizens don't need monitoring, they want measures to prevent floodings. Great idea, a 'Sport City', B900, that was what the meeting was for! What a lovely dream budget! Wow, a lot of a 'study fees' come free.